When I married my husband just over a year ago, I made it perfectly clear that I was keeping my name. 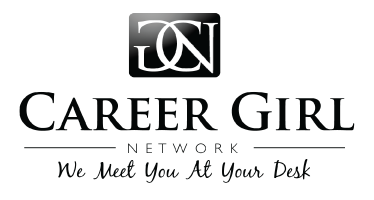 I even posted about it on Career Girl – check out that article here, “The Name Change Decision.” Yet even a year later, I still have people address me by my husband’s last name. I even received a few birthday cards from family members addressed to MyFirstName HusbandLastName. And I thought, really family, it’s been a year. Didn’t you know this? Speaking to some girlfriends, I found that everyone is experiencing the same thing. Whether you keep your name, change your name, hyphenate, or create a new name for both of you, people will inevitably mess it up for……years. So how can you ease the transition of a name change (or lack thereof) for your family, friends, and business associates? Always write your full names. When you write return addresses, signatures, etc. write your full name and his, if you share the same name, write your first names and the last name. Make it clear whose name is whose and which names you’re keeping. Send holiday cards – you’d be surprised how many people get their news on addresses and names from their holiday card list. If you forego the holiday cars, you may find that individuals who didn’t come to your wedding don’t know the right name to use. Correct people when they are wrong. The only way anyone will learn the right name is to hear it from you. If someone addresses you as the wrong name, gently say, “Quick FYI, I actually did/didn’t change my last name. My full name is (or still is) _____.” They might be embarrassed by their mistake, but far less so than they’d be years down the road when they find out they’ve been addressing you incorrectly for years. If you’re changing your name, change everything. If you change your last name, but keep your maiden name email address and AOL chat name, you’re going to confuse people. Your best offense for people not knowing your name is to be sure your name is consistent across online, offline, social media, and business channels. Years down the road, someone will still call you the wrong name. I’ve been divorced from my first husband for years, and just recently I picked up photos at a Walmart for the first time in years, and it was listed under my old married name. It’ll never be perfect! But following these few steps can hopefully help with the majority of the problems you might encounter.